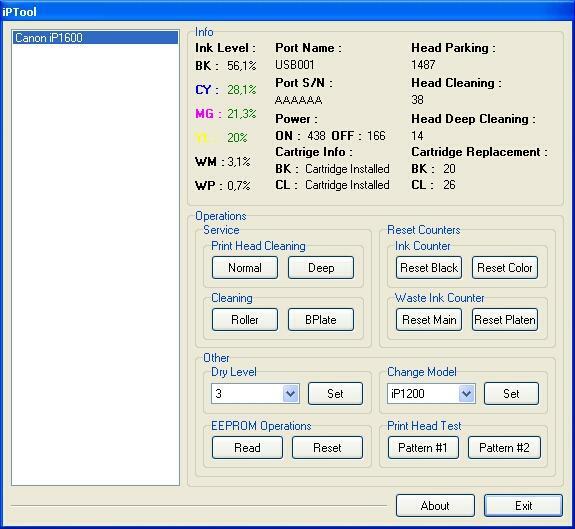 I get this tutorial from fixyourownprinter.com forum to solve the ink level error in canon Pixma iP1800/Canon Pixma iP1880. This problem usually appear after refilled the cartridge on the canon printer and ink level indicator showing the ink cartridge is empty although you have filled a cc Ink into the cartridge. And if the problem occur you cannot using your printer to print. The solution you must reset ink level on the printer if you want your computer work again. Turn of the printer and Disconnect the power cable to the printer. While still holding power button press resume button twice – orange blink and return to green. Run the IPtools software, please await after this software detect your printer correctly or you can set the printer model on “Change Model” section. Turn off the printer and turn on again. On the reset procedure above usually the problem found on steps 1-4 to make the printer steady light in green. On my experiment if steps 1-4 does not work on your printer, you can use manual reset method for canon iP1700 before continue to steps 5. Related to "Reset Ink Level on Canon Pixma iP1800/Canon Pixma iP1880 using iPtool software"
Thanks, work ok on Pixma IP1600 too!!! 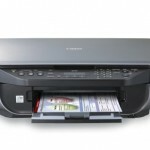 Help me, How to solved the canon ip3500 printer problem. @fz thanks FZ…i resolve that error but when i turn of the printer the ink level turns to nothing again..but i aready reset it using iptool bk is 97 % cyan 96% magenta 97% yellow 96% wp 0% wm is 0% and cartridge is installed both bk and cl then turn off the printer wahlaaaa back to nothing 7.5% in black all 0% in the color…is there something that i missed. I need IP tool for my Canon IP-1800.In the cartridge is alway show blank.I need to show ink level.Where can I get Ip tool or other tool..Please.Thank you all. A million thanks! It is unacceptable that with a brand new set of original Canon inks, my ip1800 showed empty ink levels! Great tip, everything is resetted and functioning like it should. Thanks again! my canon pixma ip1880 giving continous 5 orange and 1 green blinks ulternately. i thaught it was a cartridge problem, so i removed the cartridges 1 after another to see weather it solves the problem or not. but it dosent solve my problem, but same thing is going on even though i’ve removed both the cartridges..